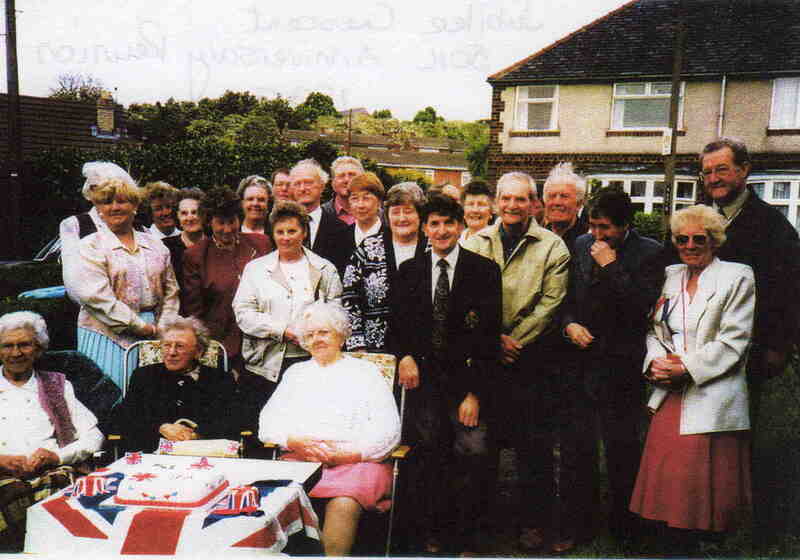 the lady on the right in the white jacket is mrs newton, she lived on the wimpy in killamarsh. 3 Members of my family are in this photo. Bottom Left, my mother, Hilda Mantle. Above my mother, Shelia Adams nee Mantle. Next to Shelia, Margaret Wood nee Mantle. Front row right, lady sat down. Doris Young formerly Cramp nee Dixon, Great Aunt. March 1912- January 2010, Born Sheffield Road, Killamarsh. Back row 4th from right, next to man. Joan Deakin nee Dixon, Great Aunt. Lady behind Doris. June Smith nee Barker. 1st cousin 1x removed. Man 8th from right back row Karrol Gibbens man in middle with black jacket Guy Watson.